I am Dheeraj Sharma, an avid traveler, a day-night dreamer and a soul wandering in the Himalayas. I have a zest for driving whilst exploring new places & sharing back those travel experiences with the other fellow travelers. I love Spreading Smiles in the Himalayas through DoW Causes & currently enjoying life as a happy traveling soul at DoW Community. Some 10 years back I realized that living your passion to dive into the unknown and testing your limits of body and soul, really helps in boosting your well being. Since then I never looked back. Frequently, I get on my wheels to hunt this unsatisfied hunger of rejuvenating myself in the endless beauty which the Himalayas does offer to us. While traveling to the Himalayas, I feel I went through a kind of metamorphosis that led to my reincarnation. I am working hard to materialize the vision & mission of DoW Travel Community with the support of all other members of our community. One day a thought rippled through my mind for sharing all I learn from travel with the likes of you, hence I choose to start this blog. This Blog (& DoW – Himalayan Travel Community) is simply about my hobby and passion for traveling to the Himalayas and getting connected with them in one or the other form. You can expect experiences, learning, thoughts, tips, guides, routes, maps, suggestions, hotel reviews, travel news etc. 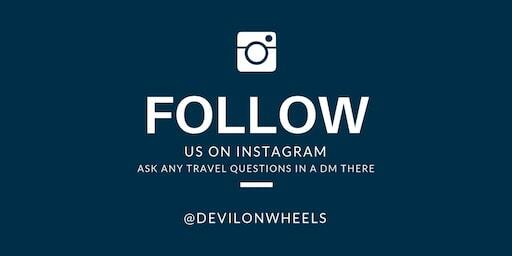 You all are most welcome to join in, be a part of DoW – Himalayan Travel Community and share your comments, experiences, thoughts, suggestions etc or any stuff related to traveling, driving, dining, riding etc. I dedicate this blog and offer my sincere Thanks to my Family (Lovely Mom and Dad and a beautiful wife, my little superhero), Relatives, Friends, Uncle (Mr. Dev Dutt Sharma) for their never-ending love, care, affection and support. Of course, they sacrifice their time with me and allows me to help me grow this Himalayan Travel Platform to benefit the lives of all Himalayan Travelers and Himalayan Lives. May GOD bless each one of them and their families too. You are most welcome to leave a comment if I missed something, I will get back to you within no time. I hope you will subscribe or join the community to read/share what’s new in Himalayan Travel with each passing day and keep on visiting again and again to share your Travel (or driving or riding) experiences, comments, thoughts, suggestions etc. we are planning to stop stay at Sangla (around which we will cover Rakcham and chitkul) and then a stay at nako where we would cover Nako monastery and lake and on the return kalpa and nearby point. can you please give us an idea about bus timings and some better ideas for this trip, like how should we preferably cover these places and where are the hotels. It is wonderful to meet you here again. I’m Planning a Documented Biking trip Leh to Kanyakumari. Request your advice on below two points. – Should i have obtain Bike permit at Manali Office to cross Rohtang Pass to reach Leh. – If yes, is there any option to do it Online, kindly share the Link. 2. One of my friend is riding “his Friend’s (White board) bike” from Bangalore. – Himself intend to take Inline permit at Leh D.C office to Visit Controlled areas like Hanle Chusul etc… If the Bike is not in his name, will there be any objection from D.c Office. My date of travelling is 11th Sep to 22nd Sep. Will be there in Manali on 11th Sep.
2. Carry all the vehicle documents and put together a letter from the owner stating that he is letting your friend ride it and it is a personal bike not rented one. Thank you Soo much Dheeraj. I am planing a budget trip to Leh and I want to travel Leh – Nubra,Pangong Tso TsoMoriri along with local sights. I am a female. Please help me plan a trip which will be great but not very expensive. I would like to travel via texi in leh and want to stay at safe place. You can check the nice, preferred list of accommodation options in entire Leh – Ladakh (Leh, Nubra Valley, Pangong Tso, Tso Moriri) including moderate (cheap budget hotels as well) in the series of articles starting on the link here. For the leh – ladakh taxi union rate list 2018 – 19 including the contacts of some reliable taxi drivers within Leh – Ladakh, check the link here. You can get about 12-15% of discount by directly getting in touch with drivers and of course, talking in person rather on phone always help in bargaining more. You can call the local drivers directly to connect with them and check the more comprehensive List of Taxi Drivers for Ladakh – Srinagar – Leh – Manali with recommendations/reviews for DoW community members. Check the list of things to carry for Leh – Ladakh or other trip including basic medical kit, clothing, must haves etc. at the link here: List of Things to Carry for Leh – Ladakh trip. Thank you so much for all the information on here! We’re planning a driving trip to Leh next month. We were wondering how best to plan a Leh to Chandigarh journey with 2 night stops so that we can return to Chandigarh by noon and limiting driving time to around 7-8 hours a day. Any advice on where one can stop for the nights? Well, it is be really difficult, you will need to do Leh to Keylong and Keylong to Chandigarh, possible but hectic. Ah I meant that we’re happy to stop 2 nights on the way to chandigarh, what would you suggest as the 2 stops to reach chandigarh by noon? Your informations ars simply marvellous and they do sincerely help. I am a solo traveller. Been to garwal kumaon etc. But now want to explore H.P where i never been to. Could you help me in making my itinerary? Is it expecting too much? I love solitude and like to visit isolated places. Bus and hire car ok with me. Moderate budget placed fits my bill. But foremost is beautiful landscape and less crowded spots. I have in mind jibhi and tirthan valley too. Could you please help. Thank you Sumita, how many days do you wish to travel? I will suggest Kinnaur Valley in case you have about 6-7 days at hand. I will start from Chennai and on 22nd Sept afternoon i will reach Delhi and start for Manali in night in Volvo. 23rd Sept: I should reach Manali in morning. I will keep the day for sightseeing including Solang Valley. 24th Sept: I am planning to hire a taxi for 3 to 4 days from your suggestion. I will go to Chandratal Lake for a night stay in any camp based on availability. Looks like I have few options, need to contact and confirm. How much time the journey will take? I will go via Rohtang pass so will it be possible to take some break in middle? And do i need any separate permit at the pass, in advance, for travelling through local taxi? 25th Sept: I will start for Kaza. How much time it will take? hopefully after check in to a hotel and having a meal i can cover Ki monastery and Kibber villages on this day. Night stay at Kaza. 26th Sept: I want to return to Manali on this day. So what else can i cover near Kaza before I start the return journey. Night stay in Manali. How much time it takes from Kaza to Manali? is it 10 to 11 Hrs? 27th Sep: I have this day as buffer for altitude sickness or if need to adapt our body we can stay somewhere in above places. And i was under impression that i need a separate day for Solang Valley and Rohtang Pass. but if above plan is possible then i have this day as buffer. You may suggest where else to utilise it. 28th Sept: Manali to Shimla. Night stay. 29th Sept: Shimla sightseeing. Night start for Delhi. Please suggest if you you have some concern on the plan and please suggest any tips to improve the plan. I will recommend that you travel to Kaza first and then move to Chandratal. You can book on the spot and you can stop at Rohtang Pass, no extra permit needed. Rest your plan looks good, may be skip Shimla too as nothing is left to see and explore there but concrete buildings and use the day in Spit. After my 1.6 year of pregnancy and delivery i am now planning trek to chopta chhandashila with my husband and 7 month baby. Like you, i am too a mad about Himalayas and keep traveling to places. EARLIER use to do many unplanned back packing trips to hills, but now with baby, i have to first see the accommodation and basic things . can you please help me with the accommodation options near chopta and tungnath and also let me know how the path of trek is i have my 60 yrs parents with me ( fit and fine ) .. we are planning to take taxi from rishikesh .. I will surely recommend that you talk to your doctors before making any hectic hike in the Himalayas. At Chopta there isn’t much options available than camping. So, your options will be to stay at either Dugglabitta or Ukimath. I am not sure if it is wise to take 7 month baby for a trek of about 5 KMs though the trail to Tunganath is well marked and kind of path to follow, still. So, do consult with your doctor and also for being high altitude, above 3000 Mtrs. Hi Dheeraj, Hope you are well. 2) Srinagar – Sonmarg – Drass – Kargil. O/N in Kargil. 7) Pangong –Hanle. O/N in Hanle village. 1. Firstly we are a group of 08 adults. We decided not to book any accommodation and travel arrangements and plan to do it directly upon arrival. What do you suggest?? 2. The group consists mostly of girls. So is it safe if we take a guest house/ homestay at places here?? 3. We would like to use local transport for travel between places and for sight-seeing. What options you suggest?? I understand there’s a union of vehicles there and they have a fixed rates. 4. What about permits. I checked a website for permits but was not sure which one to choose as there were many places listed there. Can you let us know. Also, what if we obtain the permit once we arrive into Leh. Will our hotel/ guest house help us in obtaining the same? 5. What about the permit for Hanle? I assume the same is difficult to obtain. 6. What about camp stay in Pangong and Tsomoriri. I think you meant Hunder to Pangong Tso via Shyok. 1. Unless you are too specific about stays, it should be OK to book on spot. 2. Mostly safe again unless you have people who are too choosy or picky about places to stay. Driver of tax shall help you find decent place to stay always. 3. I will suggest to have local taxi for 8 people or winger type of vehicle, such routes are not possible with public transport. 5. Hanle permit has started to issue again at DC office in Leh. Sir can you please guide about the rohtang pass permit.I am unable to get online. What all are the procedures that need to be followed? After the online permit…. is there any need to visit the permit office.?? I am very keen and eager to do a road trip from srinagar to leh and see the beauty of the entire region its on my bucket list. unfortunately I would not like to go through the travel agents as i do not like their iteniaries , at the same time I would like to put up at good accomodations and travel in a private car but I don’t seem to know anybody who wants to go there. Is it possible through your contacts to get in touch with a group of 3/4 people who are keen to travel and i can accompany them and share the costs of the private car accomadation i will manage on my own only travel. I would be grateful if you could help me out with your vast contacts. I would like to travel in the month of june or july2018. Please look through the Travel Calendar from the main menu of the site, you can post your own too or you can reach up there and find travel partners within Ladakh. Please look through the Travel Calendar or reach up there and find travel partners. You can check a very balanced and most common itinerary for Leh – Ladakh followed by many travellers including me at the link here for 13-14 days: Most Common Itinerary for Leh – Ladakh. Loved your blogs. They are very informative and well written. We are 2 couples travelling from Mumbai to Leh in Hyundai Creta around 19th June. We have planned the whole trip using the information from your blogs. Now we have few questions, if you could help it will be grateful of you. 1) Coming from Kargil, we will be staying in Leh for 2 nights. After that we will be moving towards nubra valley and stay 1 night in hunder/diskit. From there can we directly go to spangmik or do we need to come back to leh for 1 night and then move towards spangmik ? I know there is route directly from diskit to spangmik, but is that route safe to travel now ? 2) From Spangmik we are thinking to visit Hanle (routes we have studied). My Questions is what should we visit hanlo or tso Moriri ? Due to time schedule we can visit only 1 place. Below is the Leh region itinerary, please share your views on it regarding the availability of fuel or anything else that you would find helpful for us. 1. You can travel from Deskit to Spangmik via Shyok village route. More people have started using that route so you may have company. Just wait for couple of vehicles to arrive at Agham village and ask them to tag along. The only drawback of that route is used to be isolation in previous years but now more people take it, so it should be OK. Other route via Wari La is much longer. Thank You Dheeraj for the information. Talking about petrol pumps, I have read those are available only in Leh. One is there in diskit but it is not dependable. Suppose I make a route of Leh – diskit – Spangmik (via Shyok) – Hanle (via loma) or Tso Moriri – Sarchu. Where i can find teh diesel ? Also how much extra fuel Should I carry when I start from Leh in jerry cans ? Creta will be my vehicle. Q1. What kind of permits would we need and where to get them? Q2. Can we get spaces for pitching tents on Manali-Leh highway and please name the places where we can get this option? because we are also planning to carry our gears like tents, sleeping bags, mats, utensils, ration etc. Q3. Could you suggest an itinerary to follow for bicycling on Manali-Leh hghway? The information you provided would be very helpful for us. My mom and I are planning our first ever trip to Spiti. We planning to go via the Shimla route. Could you suggest a plan and places to stay? We’re planning a 15 day trip. It would be great if you could help us make this a memorable trip! I can surely help with the planning the trip to Spiti Valley. Let me know in case below details help. Hi dheeraj, we are planning a 9 day spiti bike trip from 9th june to 17th june. 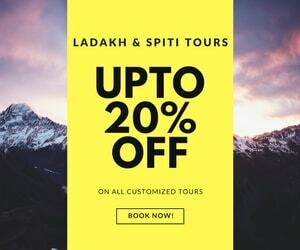 First of all I want to know the dates which we have planned the trip are appropriate or not with respect to the weather conditions of spiti valley. Second, Please tell me about the accommodation and whether spare fuel will be required or not during the trip. Last, please comment about the itinerary given below and tell me where can we cut short the trip by 1 day to make it 9 days trip. The dates of travel are fine and you will find both Manali – Kaza and Shimla – Kaza routes open unless something happens in those days only. Spare fuel will not be required, do not miss the petrol pumps at Tapri / Reckong Peo and Kaza otherwise you may end up in trouble. Rest route should be fine. Best is to book accommodation on the spot. 1. DO NOT sleep at Chitkul on Day 2 as you will not be acclimatized to sleep, stay at Sangla. 2. Rest of te plan is good. Dear Dhiraj. I plan to visit Munsyari in June first week 18,can you guide me the route, itinary and where to stay.i want your Mobil number also, so that I can talk to you. I live in Faridabad. I have read that AMS is a serious issue, especially while attempting Khardungla. In your opinion, should we stretch the itinerary above and have a total rest day in Leh on Day 3 before attempting Khardungla the day after? This is to acclimatize ourselves to the high altitude. Or do you think that the above itinerary is fine? Your opinion is much appreciated. Many thanks. Yes Azman, I will very highly recommend that and also you will have to take the Protected Area Permit after reaching Leh. So, it is best to extend the trip and stay rest in Leh for a day and then go over to Nubra Valley trip via Khardung La the next day. Manyb thanks for this website and your valuable input which has helped us plan our adventure a lot. Can’t wait to experience this in about 2 weeks time. As you know from my itinerary above, our bike journey will be from Srinagar to Leh. About oxygen tanks, is it compulsory to have this with us and if so, is it available in Srinagar? My issue here is that we will not come back to Srinagar coz we are flying out from Leh. So the possibility of returning rented oxygen tanks will not be possible. So the question here is – will it be possible for us to ride from Srinagar to Leh without having the oxygen tanks – especially so in the higher passes such as Zoji La, Namika La and Fotu La? I am not too worried about Khardung La coz we know there is availability of oxygen tanks there and we shall return to Leh after spending a night in Nubra after that. Your input and opinion is highly appreciated. Shukriya sir jee. It is not compulsory and as you are going from Srinagar side, rarely you will need them. You can of course get them in the Leh as well if required. So, skip taking them from Srinagar side. I m a male solo traveler and m in my mid 60ths and phiscially fit,I want travel to Hermkund Gurdawara Sahib in the month of july/18,This will be my first trip,I plan to fly into delhi and travel from there.If there a group tour might suit me either from delhi/hardiwar/rishikesh,I can also give it a challange to do it on my own. pls advice. I have a query regarding our Ladakh trip of 6 people which is planned from 24th May this year. I have read that on the way from nubra to Pangong to tsomoriri. There is only one fuel station which is around 180 km to nubra. Is it? If yes, then how can we plan to travel nubra to Pangong and from Pangong to tsomoriri the next day with bikes.? We are planning to rent 3 RE 500cc bikes. We’ll rent these from leh, and drop them to leh itself on 30th may as per the itinerary. Then we’ll hire a cab from leh to Manali. You have to manage the fuel for such a trip and either carry in backup vehicle OR carry it in Ladakh carrier. I will suggest that you read: Fuel Availability In Leh – Ladakh | Ladakh Self Drive Tips and Deskit Fuel pump will be there but once yo leave Nubra, you are pretty much on your own. This is [email protected], I am looking at an 8n/9d trip exclusively to the Kumaon region (first time) around May end timeframe. ***I am looking at an holiday plan that is not too hectic (considering children along) but does give us ample chances to explore around. I need your support on a suggested itinery and possible references for places of acco and car transport. Much appreciate the efforts of passionate explorers like you. This is some real inspiration! Thanks Dheeraj. Can you please throw some light on how I could go about organizing acco and transportation. Some indicative list will be of great help to get started! Also is there any place you would really suggest, in case we are able to add 1 more day pls to the plan. We are from Hyderabad and two of us planing to leh. One way by air and one way by road. Please guide us when is the ideal time and which route is good either from manali or Kashmir. e) We are first timers- so this round trip is good or kullu-leh trip is still better.? f) The car Logan is tough enough for rough terrains, Still you feel any issue with the said car.? I will suggest that you travel from Shimla to Kinnaur to Spiti to Manali direction as it has many advantages. I will say that you go in the month of June so that the road from Manali to Kaza is open and you can do the full circuit else you can only do Shimla to Spiti and back via same route. You can check a very balanced and most common itinerary for Spiti Valley followed by many travellers including me at the link here for 10-11 days: Most Common Itinerary for Spiti Valley. We are planning a 2 week bullet trip (4 people) to Chandigarh to Chandigarh during july first week. 1) bike trip to Rohtang pass is ok or not and will we be able to return on same day or not? Where we can stay at rohtang pass route n return back the next day? 2. If you have day trip Rohtang Pass permit, you will be allowed else you need to get Beyond Rohtang Pass permit for which you should stay at Keylong or Sissu and come back to Manali the next day. You are truly an inspiration (from a techie, to a techie).. 🙂 Hats off to your work!!! Could you please help me at the earliest as my trip has been sort of an unplanned one, however, we have the tickets reservations done, and we are having sort of a time crunch. Hi Dheeraj….. will swift dezire perform good for sangla chitkul kalpa roads via shimla, during 8th April to 15th April weather (especially the off-road parts) as snowfall also expected in these days. innova or xylo is costing more since we are only a family of 3.
chances of road blocks in this periods are how much. is this period of 7th april to 15 april is offseason or top season…. should we expect packed hotels or normal rush in this period. Also could we expect a white valley in those period. There are less chances of snowblocks but if in case it snows heavily then road might close for a day or two. I will suggest you to take high ground clearance vehicle if budget is not too much of an issue else Dzire is good enough if you have experience in driving in mountains. You can expect normal rush and unless it snows that very days, it will not be white anywhere. We are planning a trip to Leh Ladakh on bikes between 10th Aug to 19th Aug. We are reaching Leh by flight. so please suggest an itinerary. You can check a very balanced and most common itinerary for Leh – Ladakh by Air followed by many travelers including me at the link here for 9 days: Leh – Ladakh | Most Common Itinerary by Air. We are planning a 10 day trip to Himachal from Delhi during May end, could you suggest us an itinerary. Read your article on offbeat places and would love to explore those. Day 8 | Manali Local sightseeing which includes Hadimba Temple, Manu Temple, Mall Road, Local Monastery, Vashisth Hot Water Springs (never found it interesting) etc. Day 10 | Manali – Snow Point either at Solang Valley or Marhi/Gulaba on the way to Rohtang Pass or Rohtang Pass if safe to reach there. Enjoy in snow and come back to Manali and on the way do paragliding at Solang Valley, if required. Thanks for the update . How about complete offbeat . Wont this be too much of travel . what is the mode of transportation ? We would interested in doing some trekking as well . which place do you suggest here ppl go for a group trek ? Also in mid of July Month, Nubra to Pangong is accessible. Or Do we need to come back to Leh from Nubra and then Leh to Pangong route. Just replied to other comment. Could you please hep if this plan is OK or need some changes. Nubra to Pangong Tso should be accessible either via Shyok route or from Wari La route in July. We are planning to come at arounf 15 th august 18 to leh ladakh. We are thinking to enter from Srinagar side . Around 12 people. We are thnking to cover only shrinagar side places and drop the manali side. Further we are thinking of Vanity van on hire. We like to have your opinion about this. Well, tempo traveller will be suited for such a group to travel together and will be economical too. Also, your plan is good that go from Srinagar side and come back from Manali side. Did you refer the common itinerary? Koushik here from Kolkata, please suggest me a trip starting point is Amritsar 24th March night because after visiting the Wagha border and ends the trip in Manali 28th March evening because already booked Toy train tickets. We are couple and a 6 yr old kid. Koushik, with just three days in hand, it is better to move directly to Manali from Amritsar and then spend time in Manali only. Ashish, Chandratal lake route opens in the month of June.